I am in second-grade Brownie Troop 1972. 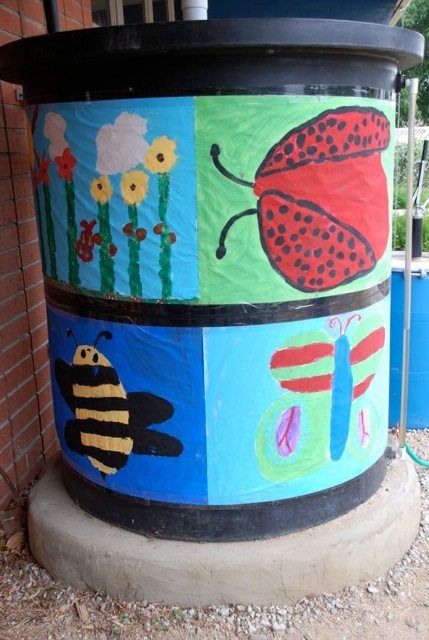 My troop painted pictures to decorate the water cistern in the TMA garden. Before we started painting, Mrs. Streichenberger called up a few girls to show an example of how to paint on the special paper. We took a walk in the garden to get some ideas and then Mrs. Frank passed out the supplies. We started painting after that. Justine and I painted a butterfly. Some of the other girls painted flowers, ladybugs and bees. Painting was really fun to do. I got to see our paintings when I went to the garden with my class and I felt very proud.